Line Markers are used to indicate the location of buried pipelines. It is a Federal Crime to willfully deface, damage, remove, or destroy pipeline safety markers. 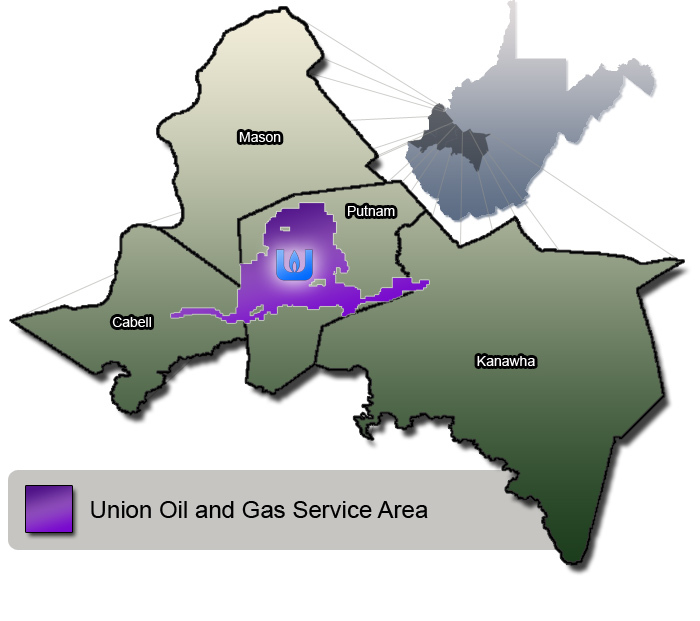 Union Oil & Gas service is available in many areas throughout Putnam County and portions of Kanawha or Cabell County, WV. If you feel our service is available in your area, we encourage you to apply for clean and economical natural gas service using 1 of the following forms. The following files are in PDF format (Download Adobe Acrobat Reader free here). If a pipeline right-of-way is located on your property, it must be free of obstructions; including buildings, sheds, trees, and tall brush. Do not dig or store anything on or near the right-of-way without first contacting Union Oil & Gas. “For your safety as well as others”. The following PDF documents depict the normal installation directions for plumbing natural gas service. 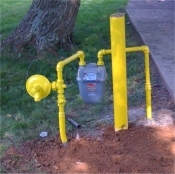 Care should be taken to insure all federal, state, and local codes are observed when installing natural gas service. These directions DO NOT supersede any code or law. Unless you are moving into a building that previously had gas service, you will need a service line. Union does not install service lines or any services inside of the building. Although Union will periodically check your service lien, the maintenance of the service line is the responsibility of the customer. 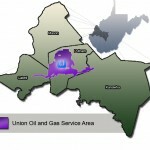 The gas meter’s location is at Union’s discretion. The customer is responsible for any damages to the service line resulting from the customer’s negligence.